Discover Islam In Tamil: Jeddah Attraction in Saudi Arabia !! Jeddah Attraction in Saudi Arabia !! 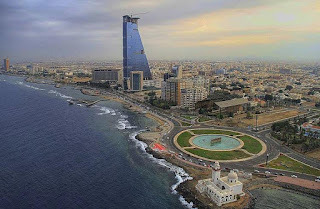 Jeddah is considered the most cosmopolitan city in Saudi Arabia, and the constant expansion of the concrete is threatening to engulf the beautiful coral architecture of the Old Town. Exploring Balad is stepping back in time. This is where Jeddah was founded by fishermen over 2500 years ago and where for over 1000 years hundreds of thousands came ashore on their way to the Holy city of Makkah. Many houses in the old district date back to this period, built from traditional coral stones and palm wood lattices. It is a great place to explore and find your own treasure in the many souks lining the streets. The biggest bazaar in Jeddah, the narrow streets are bursting with merchandise, and the market is especially busy during Haj. Another market worth seeing is the fish market in Al-Balad, where dozens of species ranging from hammerhead sharks to squid are sold at auction between 5am and 9am. Another popular place for sightseeing in Jeddah is the 22-mile (35km) Corniche, This is one of the city's most impressive and pleasing features. 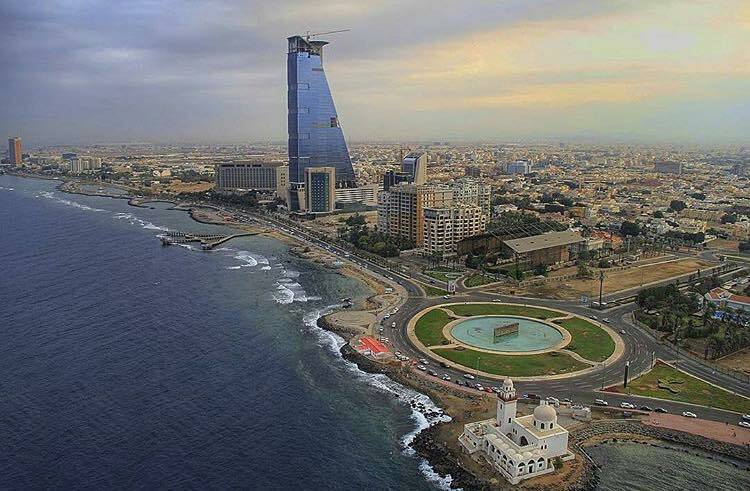 Taking advantage of its long sea shore, the city has constructed a three-part corniche, 20 miles in length, which provides recreational facilities and superb views of the sea . A busy meeting place where families and friends gather for picnics and other activities on warm summer nights. A number of interesting sculptures line the promenade north of the port. Travellers wanting to see a different side of Jeddah can explore the abundant sealife in the Red Sea. Scuba diving in Jeddah is a popular activity, with several stunning coral reef systems and shipwrecks in the area. Muslim pilgrims arrive to perform Haj (pilgrimage) every year. In the Arabic language, Jeddah means ‘Grandmother’, and it is believed that the city derived its name from Eve “Mother of all humanity”. 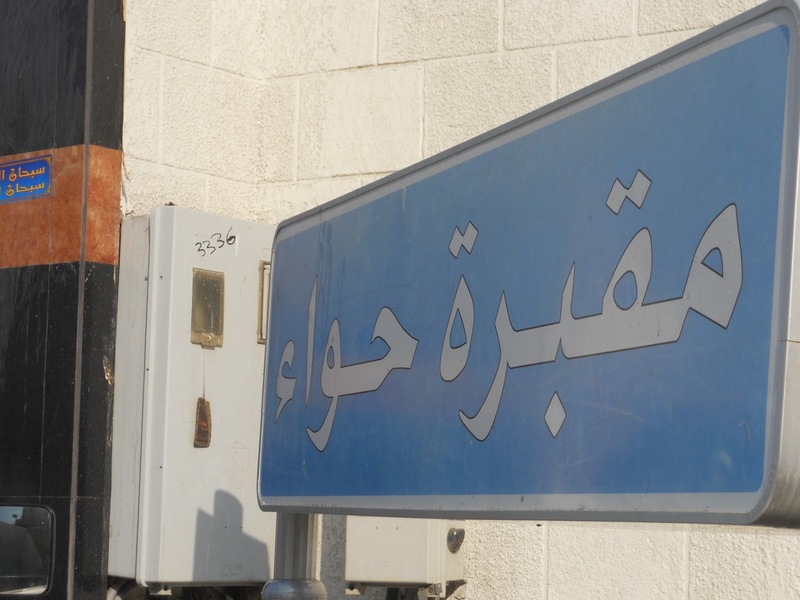 However, in Alamariyah District in the old city of Jeddah, there is an old cemetery called Hawa (Eve), where it is believed that mother Eve was buried in. The site is respected from all residents and visitors and its origins became a legend. Historians from the 12th and 13th centuries mentioned in their books that this site comprised an extraordinary tomb with 150 meter long, 3 meter wide and one meter in height. Others described it as one dome covering the location of Eve grave. The form and size of the grave remained controversial until in the 1940s, Kink Abdullah, founder of Saudi Arabia, ordered the demolition of the grave to prevent the growing superstition surrounding the site. Now the site ( Khalid bin al walid Street meeting Al matar Street ) is surrounded by high walls and is used as a cemetery for the residents of Jeddah. The flag area amounted to flying the world's tallest flagpole in Jeddah about 1635 square metres in length 49.5 meters, width 33 meters, weighing 570 kg. The applicable column consists of 12 pieces of steel with an area of 14 square meters when first installed section 168 screws, mechanical unit and control the circulation of science depending on the wind direction, the system measuring the direction and speed of wind, humidity and intense rain, vibration absorption system and another for fire resistance, and the lighting system for the field force. The estimated area of emblem on the field component of the 7 length of 75 metres each and Palm with a length of 85 m, the height of the mast 171.4 m, while the area of the field towards 26 thousand square meters. The flag-raising mechanism takes 25 minutes of 15 substantive and technical, with him their flag carried in reinforced cord 9 clips on the side of the work, begins to flag your mechanic automatic gradually higher force start at 4 meters per second, and up to full motion at speed of 8 meters per second fast match the wind speed. And inform the applicable rule 16-deep concrete pillar with a depth of 32 meters underground. Was the Guinness accomplishment of Saudi Arabia recorded the world record for the highest flagpole in the world with a height of 170 meters, and documented successful encyclopedia Abdul Latif Jameel's social initiatives and Jeddah municipality to create the highest flagpole in the world, was launched on the Saudi national day. Mentioned that the construction of the highest mast bearing the banner of monotheism in the Middle field of the custodian of the Andalus Street intersecting with King Abdullah road Jeddah lasted 12 months, using the latest technologies in engineering. The Khuzam name is given to a wide area in Al-Nuzlah Alyamaniah Quarter in Jeddah. There are many old palaces in this area and the name was given after the name of late King Abdulaziz Palace. The construction process of the palace began in the year 1347H (1928G), and completed by 1351H (1932G). The palace consisted of a two storey building and many associated buildings on the southern and western sides that form one adjacent unit and with fences of three meters high. The palace is built with solid limestone brought from the sea coast and part of the palace is converted as a museum of Antiquities and Heritage. Fakih Aquarium is one of the most beautiful waterfronts on Jeddah Corniche and simulates the marine environment by natural features and sound effects to make the visitor like a real visit to the depths of the sea, the project includes more than 7,000 marine object derives from 200 spread over 155 ponds, also contains shark, Dolphin theatre seats 400 people, Black Sea, reef aquariums, shore mangroves (mangroves), interactive lounges, pools and many other sections, in addition to laboratories and quarantine control of ecological environment of these neighborhoods, Cooling station with advanced world technologies. the project has been allocated seats 14,000 visitors over 12 hours a day, an estimated 5,000 square meter as parking for visitors ' cars can accommodate 200 cars spread over two floors, plus outdoor spaces. Pioneer project enjoys watching several sections, is the Oceanarium, which includes about 7,000 species of aquatic biota from the lower seven seas, an area of two thousand and nine hundred square meters and consists of a set of facilities and halls reflect the beauty of the aquatic environment within a homogenous texture of film techniques and models, as well as the entrance to the Museum elements of the aquatic environment in the seabed through scenes shown on high-tech monitors. The project also includes the Hall displays a palette of almangrov trees that grow on the shores of the Red Sea is also offering a set of ponds containing fish and perception of their relationship. The first floor also houses the Hall lounges where a range of recreational and educational films, which overlooks the indoor Shark Reef Hall contains recreation room for children includes educational films display monitors for various types of fish, all ponds and glass surfaces in the project of the highest quality and safety standards, where the thickness of the glass surfaces to thirty centimeters. The jewel room features the Aquarium to the most beautiful and rarest fish species and marine life within a natural setting directly, the project also has multi purpose Hall featuring high potential for holding conferences, seminars and film screenings, and overlooking the outdoor shark and comprises a fully equipped kitchen corners to provide various kinds of food and beverages, and can be used to establish all kinds of parties and events. The project also presents a variety of shapes reefs surrounded by several ponds containing various aquatic species moving in include downhill feeling inspired with deep sea diving, this sensation whenever it starts to enter into glass tunnel infiltrated water allows him to see in different directions fishes, bringing the visitor at the end of the tunnel to the seabed, where it locks the wrecked ship and boat models scattered parts within the magnificent natural environment and beauty. This fabulous mosque is a blend of modern architecture with ancient Islamic building art and it has been facilitated with the latest technology and equipment especially sound systems. Being a sacred site it attracts a number of visitors to perform prayers and also to see this unique worship place of Muslims.The mosque is decorated in a very beauteous way from inside. The fantastic interior decor, the architectural style and perfectly illuminated rooftop provide a great mental comfort to the visitor. The praying space is so huge that a large numbers of persons can offer the prayer in one time. The ablution places, washrooms and worship halls are made so convenient and magnificently equipped.Due to the amazing location of the floating mosque, it is a source of meditation for all the people belonging to various beliefs living in Jeddah. The view of the floating mosque at dawn is so incredible. The admixture of dim sunlight and the glittering lights of the mosque present a very relaxing experience to the viewer. Due to its existence right on the beach of the Red Sea, the climate becomes so pleasant in the night. The elegance of the Red Sea coast and the beauty of the Corniche make it one of the best places to spend your holidays in Jeddah. From the Corniche you also have a superb view over the Red Sea, or you can enjoy the beautiful lights of the city. Every day after the Mahgreb, the sunset prayer, the Corniche springs into life, with a lot of Saudi families enjoying their selves. They are playing sports on the beach or enjoying a dinner at one of the picnic sites. They spend time together while they enjoy the beauty of the city and the Corniche. One of the major sites that can be seen from the Corniche is the magnificent King Fahd Fountain. Especially by night you must have seen it at least once. And because the fountain is lighted it can be seen from miles away. Also on the Corniche is an open art gallery with a wide collection of sculptures and modern artworks that attract the tourists. There are a lot of different designs, themes and materials of sculptures displayed but they are all inspired on the Arabian culture. The works have been made by various artists, ranging from international stars to local artist. The magnificent sculptures can be enjoyed all throughout the day but also during the night because they are lighted with spots. There are a lot of private beaches, restaurants, playgrounds and amusement parks besides and on the Corniche. Lay back and enjoy the beautiful views or facilities of the Cornice or simply relax while you’re having a walk over the beach. But pay attention that many beaches and amusement parks are segregated by gender. World’s largest bicycle is a huge sculpture in a roundabout in Jeddah. The 15 metres high bicycle is an art work of Spanish artist. Julio Lafuente who created it in early eighties from scrap metal. Incidentally most of the roundabouts/public squares in Jeddah have some sort of sculpture and are commonly known by the sculpture installed there. This one is known as ‘The Cycle Roundabout’. Perhaps it is the best way in a multi-language, international port city to identify the localities. its height is 15 meters and from one end to the other it is 25 meters. There is also a spare wheel sculpture that accompanies it which is 90 meters away on the same enormous roundabout. Another interesting tidbit is that the scrap metal from which these sculptures were created came from a derelict old marble factory that was established by Mohammed Bin Laden. In the mid-1970s Julio Lafuente working for the city of Jeddah in Saudi Arabia to bring about the "beautification" of the city through the realization of landmarks and monuments. Julio Lafuente achieved this purpose through his works that are designed to celebrate local culture. The Globe sculpture was built in Italy and has a surface area of 600 square metres and is designed, when illuminated, to show Mecca as the light and centre of the Islamic world. COLLECTION BY : M.AJMAL KHAN. தீபாவளி பிறந்த கதை !! ஒரு பார்வை..
நமக்கு கடும் சோதனைகள் வருவது ஏன்?